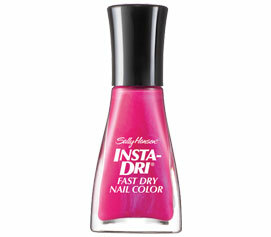 I am a faithfully devoted user of Sally Hansen’s Insta-Dry Nail Polish. No strings are attached to this testimonial. I am not getting paid to support the product. I just love it. Biz e-Moms barely have time to take care of their family–let alone themselves. This nail polish truly gives you no excuse! It dries in 60 seconds and has enough coverage in one coat. I wouldn’t steer you wrong. P.S. It’s great for painting little one’s nails too because they don’t have to hold still until it dries!